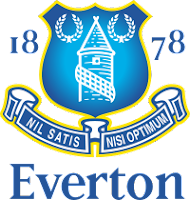 Everton are in a good run, in fact knowing Moyes’ work it should be a middle of a good run. Three wins and three draws in last six Premier games and all three draws came from the road (Fulham, Spurs and Blackpool). At Goodison, they’re a tough nut to crack for any (and it means any) Premiership side. The Toffees have lost only three of their last 22 Premier League matches and have won last four home games against Bolton without a conceding. Moyes will probably pick the same side from Blackpool’s draw, Rodwell and Fellaini should be on the bench. Owen Coyle is doing a great job at Bolton with just two defeats in the past 11 rounds, there’s no doubt. And last round victory over Spurs was deserved without any doubt. My impression is his capability is limited with team’s. With players of that level is impossible to achieve anything higher than mid table position. If I try to find any bad side in his managing capability, it would be away games. 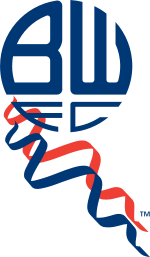 The Trotters, as Burnley were doing under Coyle, most of the points collect at their Reebok Stadium. And I expect some kind of Spurs’ hangover in tonight’s game. After a great win, teams like Bolton usually fails in the next encounter. Coyle is without only long time sidelined Sean Davis, Joey O'Brien, Ricardo Gardner and Jlloyd Samuel. Everton exited the crisis of results and finally look like a serious team. Hard working side, well covered on all positions. I fancy them to continue their good run and win this encounter.